Hydracare was a project which aimed to reduce dehydration in hospitals and care homes – a problem sadly still poorly addressed. It started while at university and the patent/surrounding IP was eventually sold in 2012. I came across the problem of dehydration after obliterating my foot in a climbing accident that required me to spend 8 days in a French hospital. After leaving the hospital with a rucksack and directions to where I could purchase crutches & injections I was prescribed to inject myself with – I made my way to Paris and hitched a lift back to the UK where I started to research my injury with the precision of someone who has a 30% chance of not walking properly again and with a job that was not taking up all of my time. 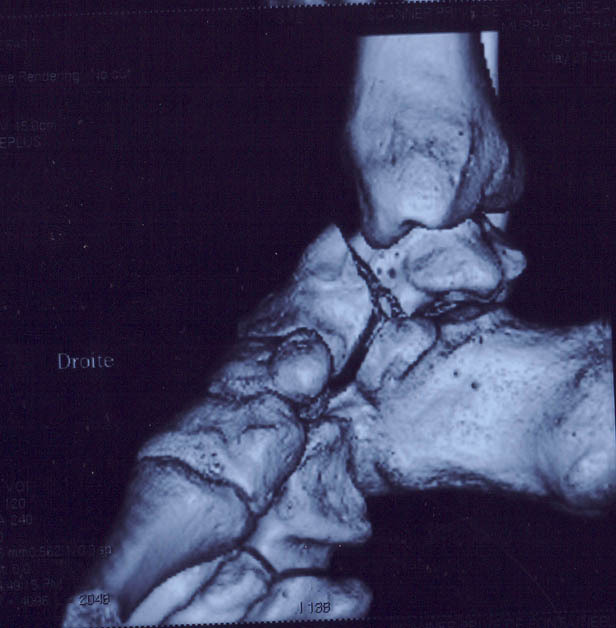 If you break your Talus in half there is a chance the bone will die causing you life-long problems. I cannot remember where, but there in an online medical forum a woman was writing about how her husband, after under going reasonably significant surgery almost died from dehydration – which caused further surgery to be carried out at (I think) a loss of a limb. Again after that operation he became dehydrated and further complications ensued. All the man needed was water on a regular basis – but somehow this was not being administered. It turns out that dehydration can significantly slow the progress of recovery, and if serious can cause further complications. In need of a project for university and sensing I was on a rich vein I Googled ‘Dehydration problem’ which I suspect today will have people asking the same questions and pointing out the same issues. Dehydration is a big problem – especially with the elderly. My research at the time shown the dehydration problem to cost 80,000 bed days in the UK alone (one bed day is estimated to cost £600+) and costs even more through dehydration caused illnesses and accidents. In the US, Medicare paid out over half a billion dollars for patients diagnosed with dehydration, in one year; dehydration is a global problem. Elderly patients often don’t want to drink due to poor thirst mechanism, water is often changed by cleaning staff and, with nurse shift changes it is currently very difficult to monitor patient water consumption. The elderly, especially, need constant reminding and monitoring, if the carers don’t notice a patient not drinking, within a short time it can lead to a long hospital stay, from which many never fully recover. In hospitals dehydration causes post surgery complications and can reverse a patients condition, again it’s very hard to prevent. If hospitals used this product it could save millions of pounds just from bed-days saved resulting from improved recovery rates. At home the elderly need to be reminded to drink, staying hydrated prevents dizziness (caused by low blood volume) and falls upon standing. Elderly with care support could be given independence for longer preventing them from having to move in to nursing homes. As a Brunel Industrial Design student – for me it was important to build a product of some kind. These days, if I wanted to make a tangible difference I would probably lean towards lobbying and trying to change how dehydration is viewed on a legislative level. Either way I designed a product and through entering competitions IKB Awards I was able to get low-cost access to a Patent Attorney who patented they key basis of the product; a drinks container with a monitoring and alarm means. 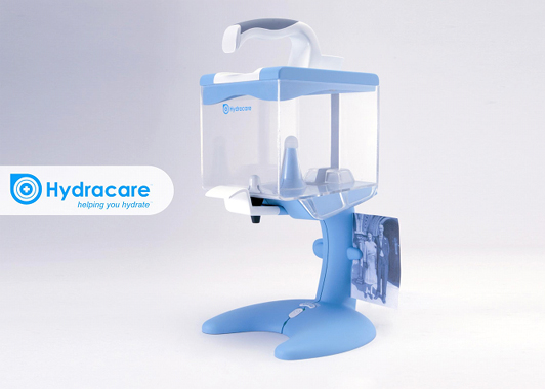 Hydracare simply reminds patients to drink and alerts staff if too little water is consumed. The product can be used in hospitals and care homes as a bed side unit, or can be used by the elderly in the home potentially with family, day carers or the elderly person themselves using the devices’ feedback. In a care setting carers are able to identify those who are not drinking within one day; preventing serious problems and possible legal action from the patient’s family. The design was shaped with significant input by care professionals with the aim for it to be a simple and inclusive design although admittedly it is fairly over-engineered from a commercial/production point of view. The project I won a few competitions including a Medical Futures Innovation Award a grant from UnLtd and a couple other minor cash wins (IKB Award, Bright Ideas Award, Reliance Prize of Prizes Award) which in the most part went on the project or went into future ideas. I could have moved faster on the product – but it took several months before the Tech Transfer department at Brunel renounced their claim to 75% of my IP; a ridiculous practice considering I am a fee payer not an employee – I was pissed off to say the least. After University, and a bit of travel, I made attempts to finding someone to take on the product, investigated how I could boot-strap it to market and who I could trial it with. I made some progress but the start-up of our first company got in the way and making enough money to survive became the my priority. It had also became fairly clear that the product was more of a licensing opportunity than anything else – especially as it would require quite a lot of work to make it manufacture ready – trial it and take it to market. The product sat for a while; I did not want to let the patent lapse as I would prefer someone could extract value out of it and several months ago I picked it up again and started what was a long trail of introductions involving around 15 different people, referred from company to company until I eventually found an organisation where the Patent added enough value to their current proposition for them to buy the Patent. From this experience I learnt hands-on about the entire Patenting & Patent search process, how to get a Registered Design, the importance of product simplicity and the process of selling IP. That’s great you were able to sell the IP. Medical devices must be extremely difficult to turn into start-up companies. I am working on a hydration device but it’s basically an improvement to a standard cycling water bottle. Interested to hear any more on this topic if you ever think of posting on it again.